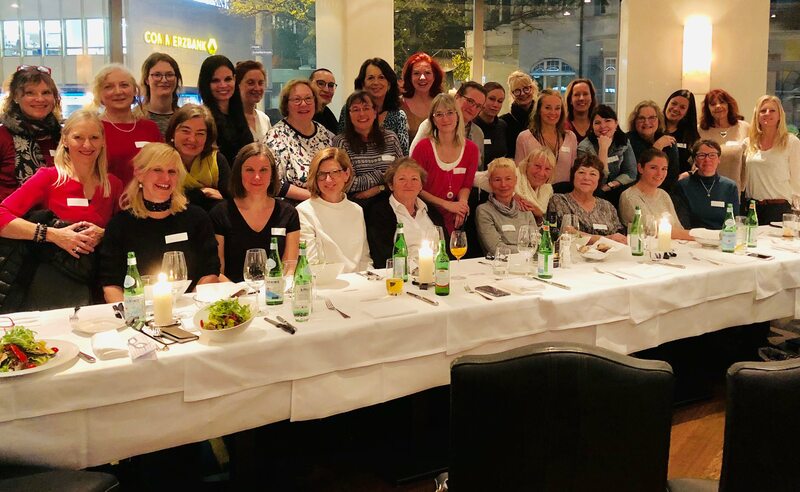 My first meeting with over 30 Swiss female writers gave me a lot of inspiration. I’ve been writing since I am 12 or 13. I filled up many journals with my thoughts, and I always dreamt of writing a book. But, and this is something which I discovered this very year, I was scared of publishing my thoughts, because people would judge me, and I did not stand this idea of putting myself in a public place and giving others the chance to put me down. I was writing a lot as a journalist for newspapers and magazines some years ago. But this wasn’t that difficult for me because I was writing about other people’s opinions and I did not have to expose myself too much. Publishing my first book, a children’s book called «Leonard and Loulou» this spring, gave me such a great pleasure and self-confidence. Of course, I was very skeptical at the beginning because again, I was afraid of other people’s judgment. Getting more and more nice feedbacks to the story about a boy and a cat, touching people’s heart when doing my reading, I started believing more and more in my capacity in writing. And, yes, there will be a follow-up to the first book, a second one with the title «Leonard and Lea» which will be published in 2019. A wonderful moment and very reassuring had also been when I discussed with the New Yorker publishing house, Morgan James, about how my book will be printed and sold in July 2019 in the States, in England and in Australia. I got so many compliments by the editor board for the story and the book itself. It might sound crazy, but I couldn’t believe that I had created this book when I heard them talking about it. Honestly, I got goose pumps when I read the description of my book written by their marketing department because it sounded so great. This book is also the starting point of my new business which is to help people to write their books, to give them the confidence they might be lacking of as I did and to get them to this wonderful moment in their lives where they open the first page of their printed book or published e-Book and they feel overwhelmed and have goose pumps. I want to encourage people to write what they want to share with the world. I want to help women and men not to hold back their stories, their experiences and their knowledge, because it is so amazing what I receive when I dared to share my story: a great assurance of myself that there is a sense in being on this planet, and there is a mission I am asked to fulfill: helping others to write their books. It might sound strange to some of you, but I don’t know how may times I was willing to leave this world because I didn’t see any sense of being here any more. This could be the story of a book for adults I will be writing some day. We will see. I am very grateful for having met wonderful, inspiring business coaches in the last 12 months, who empowered me to take action, among them are Kane and Alessia Minkus, Kevin Paetz and Michelle Masters. Thank you so much for your guidance and encouragement and thanks as well for this amazing community I met through you.